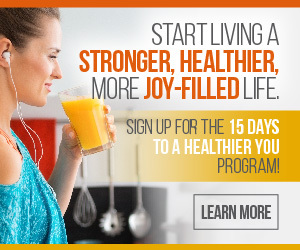 Helping You Create an Intentional, Stress-free Life! Bubble Fun with Baking Soda and Vinegar! This is a fun “science” project to do with your kids that I found in “More Mudpies to Magnets” (affiliate link). It can be a little messy, so summertime is the best time to do this project because you can do it outside! Have child put a spoonful of baking soda into cup. Then have child start spraying the vinegar into cup. Mix until you get the consistency you want! Have fun trying to make the most bubbles! Place the baking soda in the center of a paper towel and fold up the towel into a square package to hold the powder inside. Into the zip-lock sandwich bag add half a cup of vinegar and a quarter cup of warm water. Put the paper towel package into the mouth of the zip-lock bag and hold it out of the vinegar by pinching the sides of the plastic bag. Zip the bag closed then let the paper towel drop into the vinegar. The bag will fill up with carbon dioxide gas and pop with a bang, so make sure it’s in a sink or outside! Be careful when doing these projects, especially the bubble bomb. Have fun! If you liked this post, click one of the links below to Tweet. Thanks!